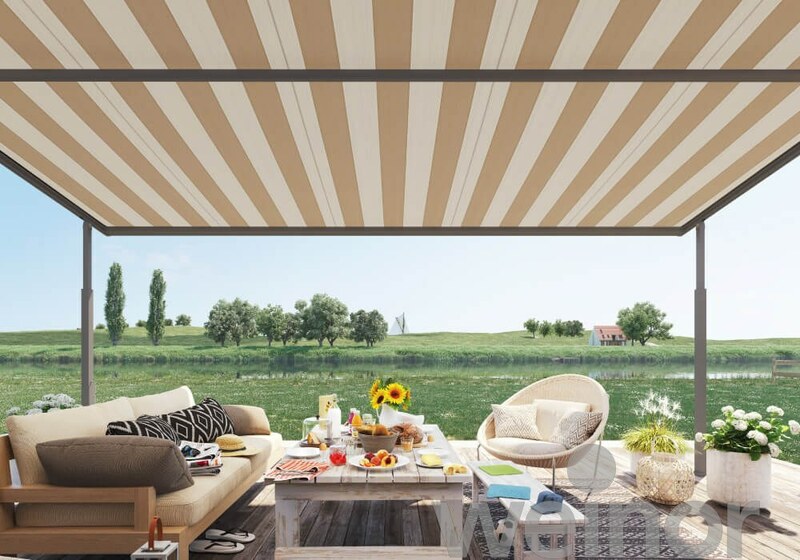 The Plaza Viva textile pergola awning can be used on your patio for even longer with even less worries – virtually regardless of the weather. 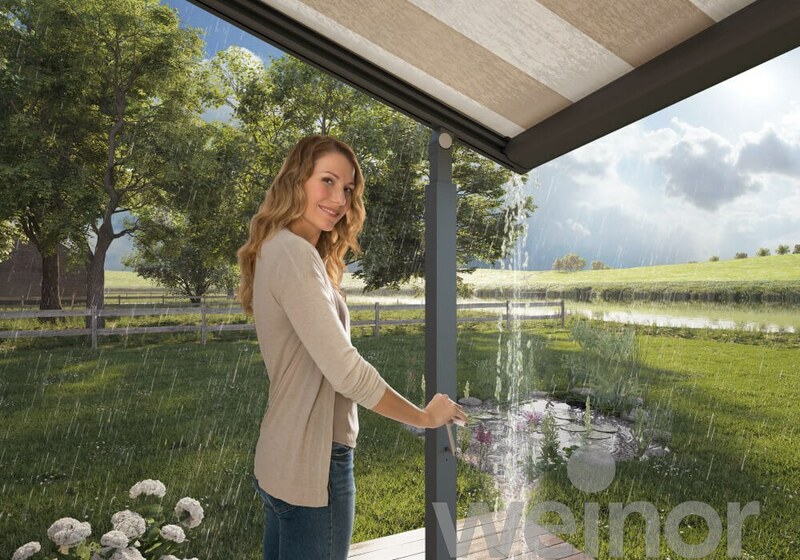 Whether it’s as sun shading on a sunny day, as extremely stable weather protection with gusty winds or as clever rain protection from warm summer rain, thanks to the Plaza Viva you can enjoy the haven of well-being on your patio without any interruptions. Enjoying your great summer’s day on your patio without any worries. Plaza Viva provides the necessary shade so you can do just that. 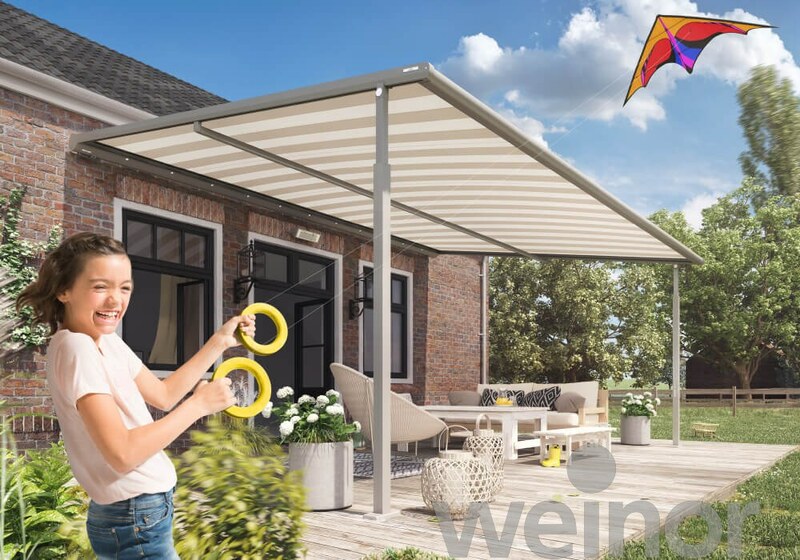 It will cover up to 30 m², for the whole family including friends. But Plaza Viva isn’t just practical, it adapts to any house facade with its modern, slimline design and comes with a huge selection of attractive awning fabrics which gives you the option of designing your outdoor space to your own personal taste. Want to enjoy more open air? 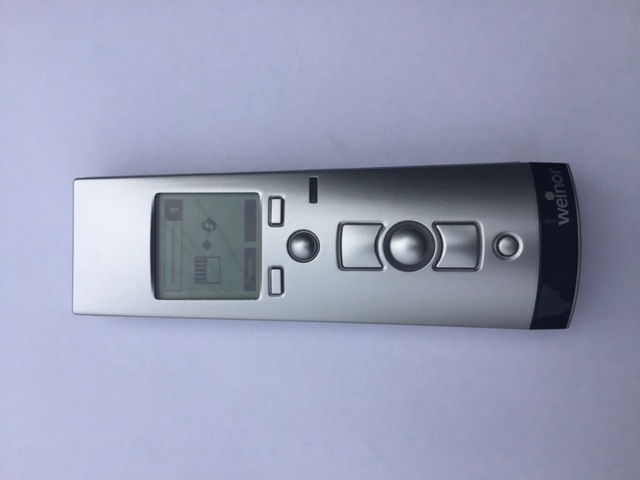 Then simply open your Plaza Viva to exactly the position you desire at the press of a button. The Plaza Viva will remain stable despite strong gusts. This is down to the two front posts which are extremely wind-resistant. 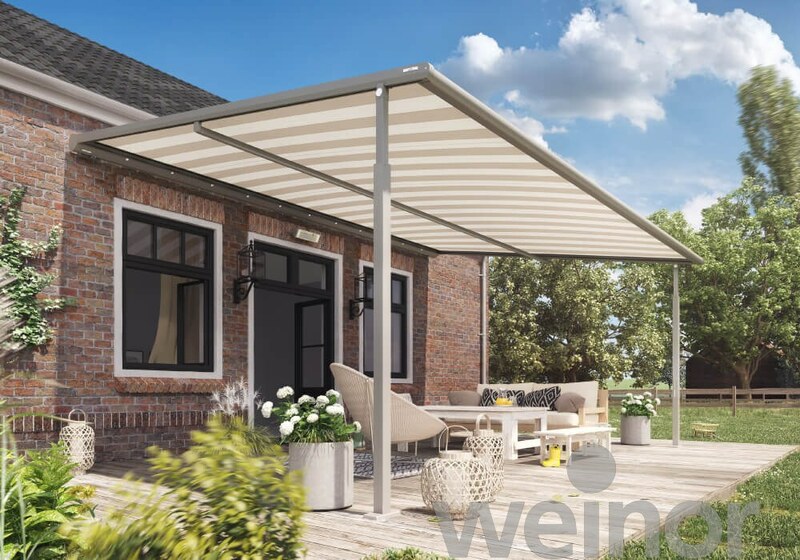 The stable structure guarantees that the pergola awning can remain extended up to wind force 6 (Beaufort) and then also offers reliable sun protection too. Even with facades with not many load bearing substrates, like old buildings for example, the posts withstand strong wind loads consistently. You will remain dry as the rain water reliably drains off. The reason…. 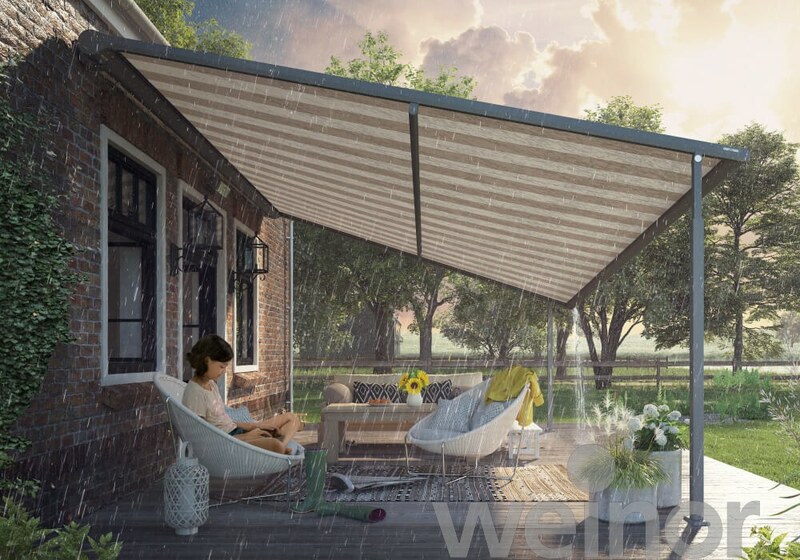 The adjustable telescopic post and the water-repellent awning fabric, so you can remain seated in your favourite chair or enjoy a family meal totally relaxed and enjoying being outdoors in the rain. Plaza Viva is designed so that almost no fixings are visible. 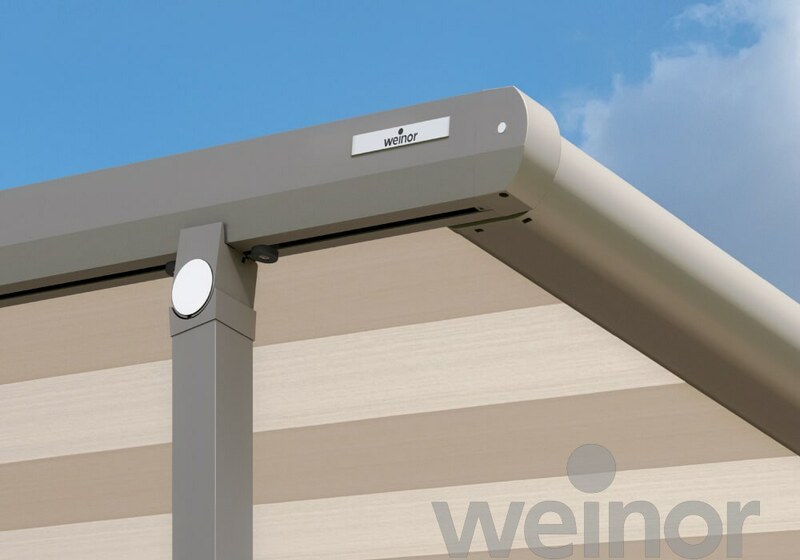 As a result, the awning design looks slimline, modern and elegant. Turn your outdoor space into a hidden gem with Plaza Viva! 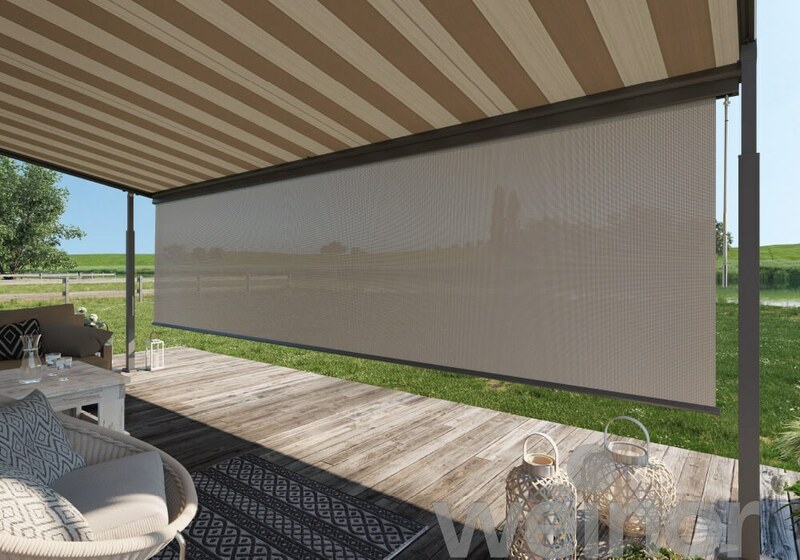 The all-round enclosed and robust awning cassette keeps the fabric and other component parts well protected from the elements, so you can enjoy superb weather protection for many years. The Plaza Viva tension system ensures optimum fabric performance and positioning. It includes, amongst other things, a new flat rope and the tried and tested weinor carriage system. The flat rope is extremely quiet and durable, the weinor carriage system features quiet retraction and extension that is gentle on materials. Add comfort to your Plaza Viva thanks to LEDs and a heating system. Your options for great comfort: enjoy evenings on the patio under warm white LED spotlights that can be dimmed infinitely. 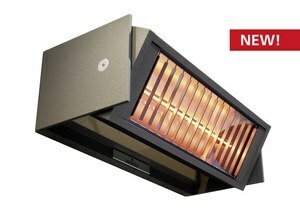 You can even enjoy your patio at cooler times with the Tempura heating system. It can be retrofitted and is unobtrusively attached to the house facade. 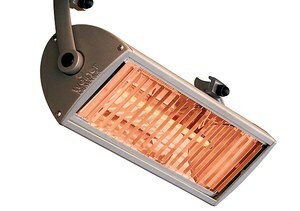 A perfect solution for dazzling light, especially when the sun is lying low in the evening. 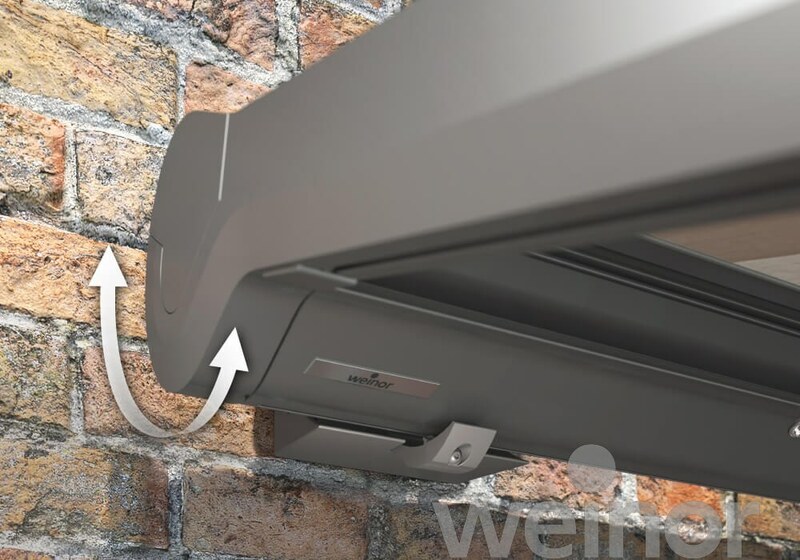 It can be lowered using the gear handle and then also offers reliable privacy protection. 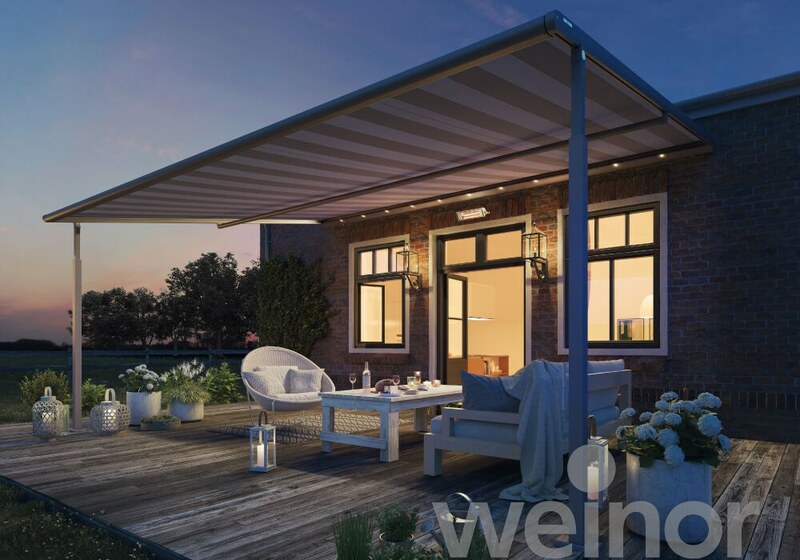 The Valance Plus is also available with the fabrics from the screens by weinor® collection that let light and air through. 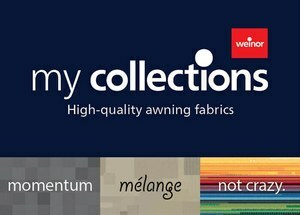 You will find the right fabric to suit all tastes at weinor. And the innovative solution dyeing technology guarantees long-lasting colour brilliance. 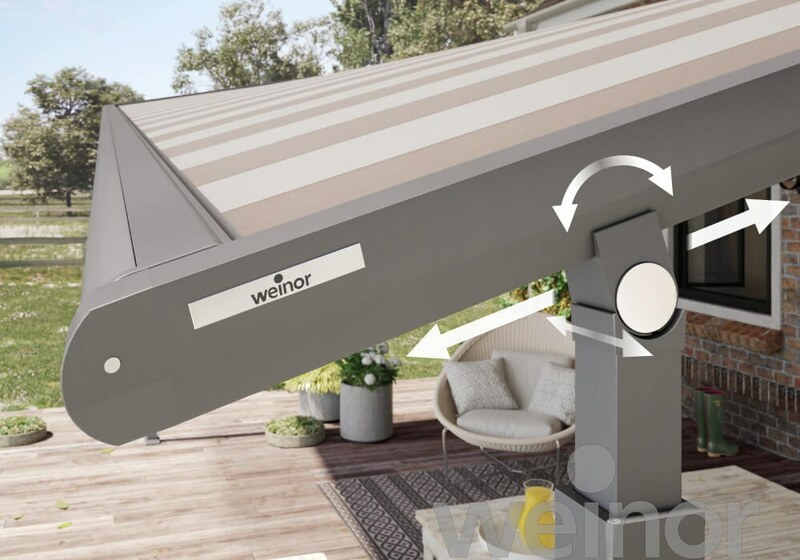 Teflon woven tissue protection and nanotechnology provide impregnation for the weinor awning fabric. The dirt-resistant protective coating also prevents soiling. 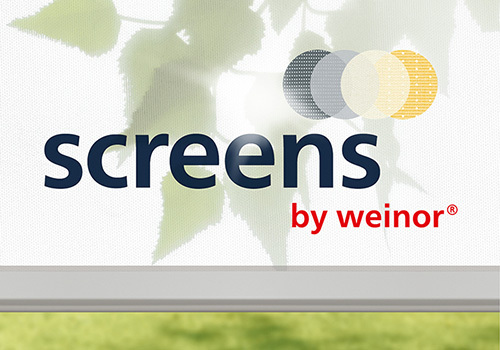 At weinor you can select from more than 50 standard colours and more than 150 other RAL colours. The powder coating done in our in-house factory guarantees colour fastness and a uniform gloss level.